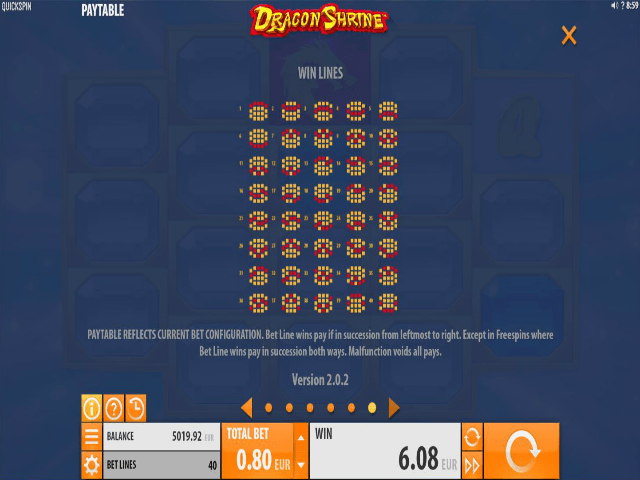 Dragon Shrine online slot game is a Chinese-themed slot with a unique board setup. It features five reels and 40 paylines, although reels one and five only have three rows each, while reels two, three, and four all have four rows. The unusual layout gives Dragon Shrine slot a distinctive look that offers more combination options. 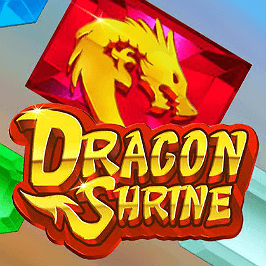 Read through our Dragon Shrine guide to see how you can take advantage of Dragon Shrine’s curious offering. Dragon Shrine shows exactly why Quickspin is known for creating awesome video slots. The dazzling board features an array of glittering symbols set against a magical blue sky. The serene bokeh animation effects flitter in and out in time with the wondrous music, a mix of silk harps and bamboo pipes. Software provider Quickspin seems to have created the casino software for those who would love to visit the Chinese gambling mecca of Macau. The unusual shape of the board also delivers a novel feature with two bonus rounds to keep you occupied. Fans of Asian culture and music can spin to their heart’s content, with a substantial return-to-player (RTP) rate of 96.55%. 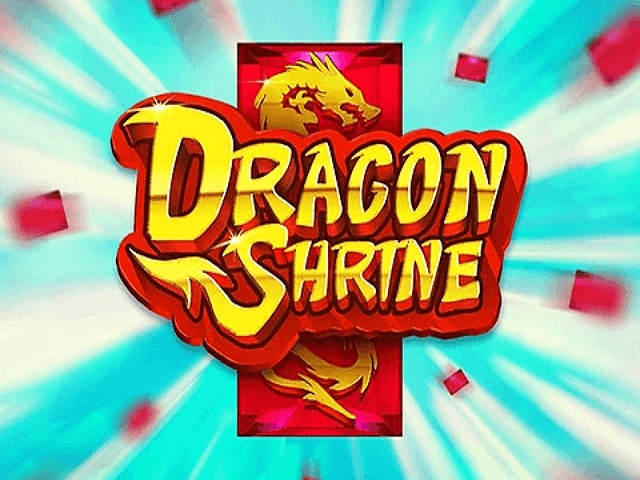 Dragon Shrine slot game features a fusion of Asian symbols and western gambling icons, featuring classic casino symbols like 10, J, Q, K, and A. There are also four distinctive jewels with different colours denoting how valuable they are – the pink being the highest paying followed by green, then blue, and white. The Wild symbol is a gold bar with Wild written across it. This can be swapped for any of the other symbols, with the exception of the Bonus Scatter symbol. The Bonus Scatter is a emerald-coloured coin emblazoned with a Chinese temple. It appears on reels two, three, and four in both the main game and the Free Spins bonus round. If three or more of these coins appear, you’ll be granted 10 free spins. These can then be accumulated during the bonus round, and any wins during the Free Spins bonus pay both ways across the reels. The second bonus feature is the stacked Dragon symbol. The golden dragon on red can appear stacked on the first reel of three rows. If you’re lucky enough to land these, it’ll trigger the Dragon Stack Respin feature. During this round, the dragon symbols burst alive with fire, causing the music to up its tempo to a breathless beat. All of the Dragon and Wild symbols are then locked, with three spins automatically taken. If you land any more Dragons or Wilds, these too become fixed. After the third free spin, the paylines are analysed, and the highest paying one is chosen. 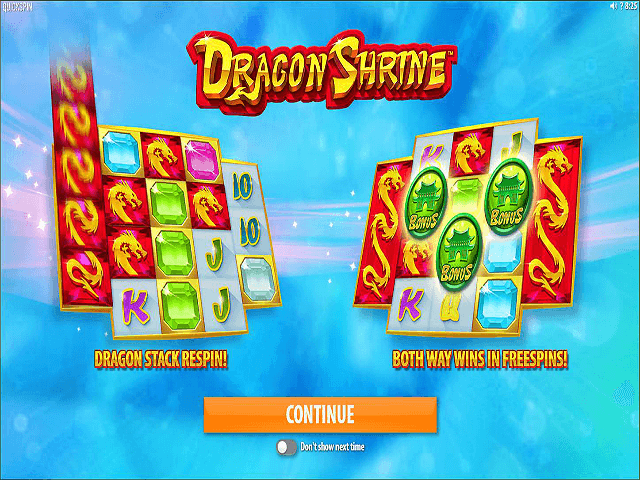 The bonus rounds also work in tandem, so you can strike the Dragon Shrine Stack Respin while playing a Free Spin. 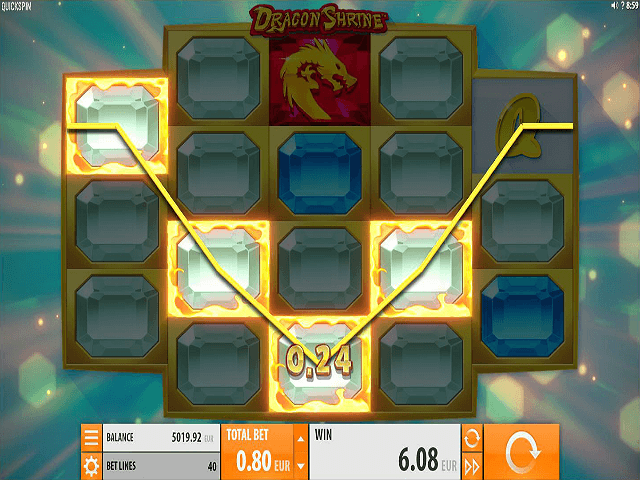 During the Free Spin bonus round, reel five also has the ability to stack Dragon symbols. If you manage to land a stack on reel five, it’ll automatically be mirrored on reel one, offering an even greater chance to win a big payout. If you like Dragon Shrine - You'll like these slots too!